A FORMER ROYAL Marine from Antrim who made bombs and weapons in Northern Ireland and Devon, England has been sentenced to 18 years in prison. Ciarán Maxwell (31), from Larne, admitted he would have used the large amounts of explosives, weapons and ammunition he manufactured to assist others to commit terrorist acts had they not been discovered. Maxwell’s address was given in court as Exminster, Devon. He was sentenced to 18 years’ imprisonment at the Old Bailey in London today. A senior official from the Met Police Counter Terrorism Command said that Maxwell had some links to dissident republicans but he never disclosed what his motivations were. An investigation was initially launched by the PSNI in March 2016 after a member of the public reported suspicious items found buried in Carnfunnock Country Park, Larne. Officers found two barrels buried in the ground containing various chemicals and materials needed for making explosives. They also found a number of other items that could be used to make detonators and firing systems – all component parts needed to make improvised explosive devices (IEDs). Two months later, officers found another three barrels buried in the ground containing more components for building IEDs, along with pipe bombs, two anti-personnel mines, a handgun and ammunition. “An extremely dangerous terrorist has been caught, and a significant and substantial amount of explosives and weapons have been seized. This case shows what an important role the public has in fighting terrorism and how police and security services rely on the eyes and ears of the public to help us tackle the threats we all face. Forensic evidence was uncovered in August 2016 that linked Maxwell to the items recovered from both sites. Maxwell was working as a Royal Marine at a Somerset military base and lived in Devon at the time. The investigation was widened and coordinated by the Counter Terrorism Command. He was arrested on 24 August 2016 at his workplace at Norton Manor Camp in Taunton, Somerset. During questioning, Maxwell told officers about a further five locations in the Larne area where he had hidden more weapons and materials for making explosives. In total, officers found materials and chemicals that would have made tens of kilogrammes of explosives from the hides in Devon and over 100 kilogrammes of explosives from the hides in Northern Ireland. They recovered 14 pipe bombs, two anti-personnel mines, two explosively formed projectiles (EFP) and more than 60 complete firing systems and initiators. Materials to make an additional 19 pipe bombs, two anti-personnel mines, one EFP, three booby-trapped torch IEDs and around 100 firing systems and initiators were also recovered. Maxwell has never indicated to us what his motivation was, and although our investigation revealed he has some links to violent dissident republicans, he was largely acting alone in stockpiling and manufacturing these weapons and explosives. 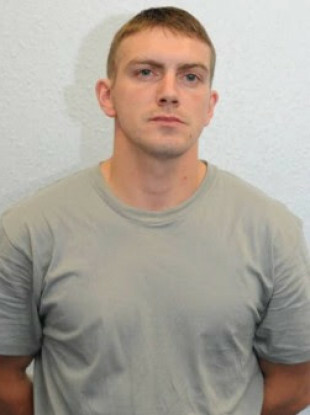 Email “'An extremely dangerous terrorist': Antrim Royal Marine jailed for 18 years for making bombs”. Feedback on “'An extremely dangerous terrorist': Antrim Royal Marine jailed for 18 years for making bombs”.